Miami recording artist Eman Get Dough is making waves as he drops off his latest single titled “Digital Dash” After splashing unto the scene in the WSHH liberated visual for “Never Tell Nobody” featuring Rich Homie Quan, Magic City-based recording artist Eman Get Dough returns with his latest single “Digital Dash” produced by Carl Paul, the song follows up his Coke Boy Zach assisted “Live Fast Die Young” and is perfect for any pre-game celebration. Eman Get Dough is gearing up for the release of his upcoming project Under The Influence this month. If you don’t know about the homie Eman Get Dough, it’s time to get familiar. Seven years ago, Eman was riding around with his closest cousin when they got into a deadly car crash. Eman was blessed enough to escape alive but unfortunately, his cousin was not. After a lengthy recovery, Eman was inspired to pursue his passion for music. “I used to be in the streets with my cousin,” Eman said according to a press release. “In 2011 we were involved in a serious accident that caused me to be paralyzed for months, and caused my cousin to lose his life. Once I got back into the swing of things, making music became my passion.” After refocusing and making the choice to take on the challenge of making a traumatic experience into something positive, Eman got busy in the studio. 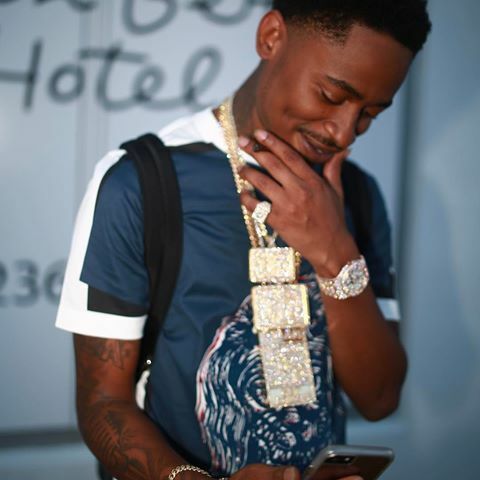 The last two years, the Haitian/Cuban lyricist has collaborated with Young Scooter, Rich Homie Quan, and most recently Coke Boy Zack. Eman grew up listening to many of the Louisiana Rap artists such as BG, Lil’ Wayne, and Lil’ Boosie because their content spoke to him in way that made them relatable. When he made the decision to step into the role of an artist, he knew he wanted his audience to feel that they, too, could relate to Eman’s music. Check out the new single “Digital Dash” and let us know what you think! 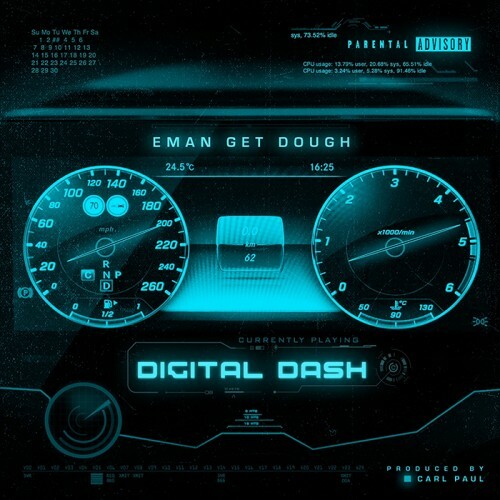 Stream and purchase Eman Get Dough’s “Digital Dash” Follow Eman Get Dough on Instagram, Twitter, Youtube, Soundcloud & Facebook.